While thinking of the United Kingdom, the first image coming to mind is probably Big Ben. And even if you decided to attend English courses at the English School in London primarily to improve your English skills, you have to know this kind of cultural references. Indeed, the clock is one of London’s most famous landmarks and has become the symbol of the UK all over the world. The name Big Ben does not refer to the clock tower itself, as many believe, but to the thirteen-ton bell hung within. It is located at the north-eastern end of The Palace of Westminster. Londoners are very proud of it as Big Ben holds the title of the world’s largest four-faced chiming clock. As soon as you leave your English course, you shouldn’t miss to visit this popular attraction. 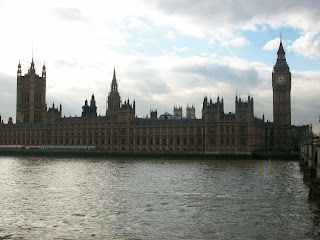 The Palace of Westminster is also known as The Houses of Parliament. It consists of the House of Commons and the House of Lords. Parliament celebrates this year its 150th anniversary. If you are interested in the English political system, you can take advantage of your stay at the English School in London to visit The Houses of Parliament to watch proceedings from the public gallery. Otherwise, if you are interested in art, bring your camera with you: The Houses of Parliament overlook the Thames and, especially by night, it probably offers the most beautiful and photogenic sight in London. Just half an hour journey by train from the English School in London, The Palace of Westminster and its famous clock Big Ben are definitely the landmarks to see in London.